Twenty-one selected alumni and three members of the course team showcase work exploring heritage and craftsmanship, performative body and prosthetics, product and manufacture and artefact as a political voice. 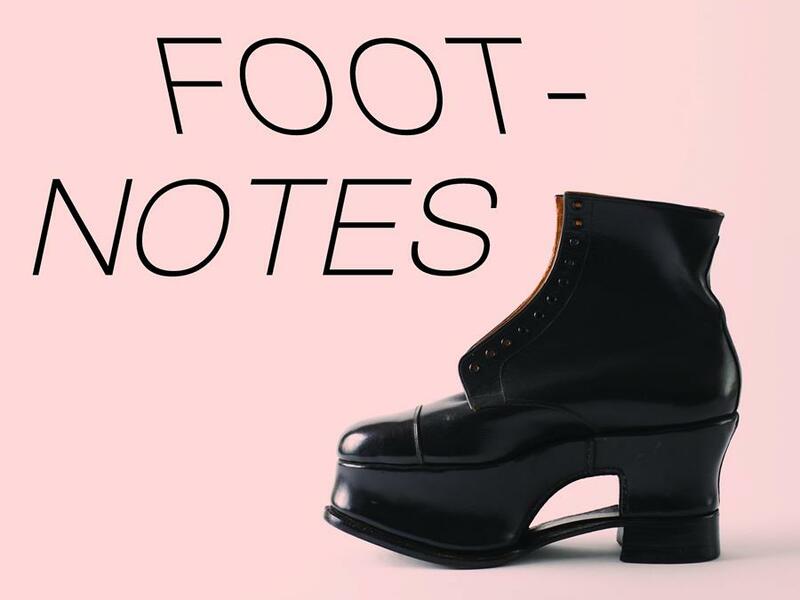 Footnotes is a series of installations by artists, drawing inspiration from London College of Fashion’s (UAL) shoe archive. 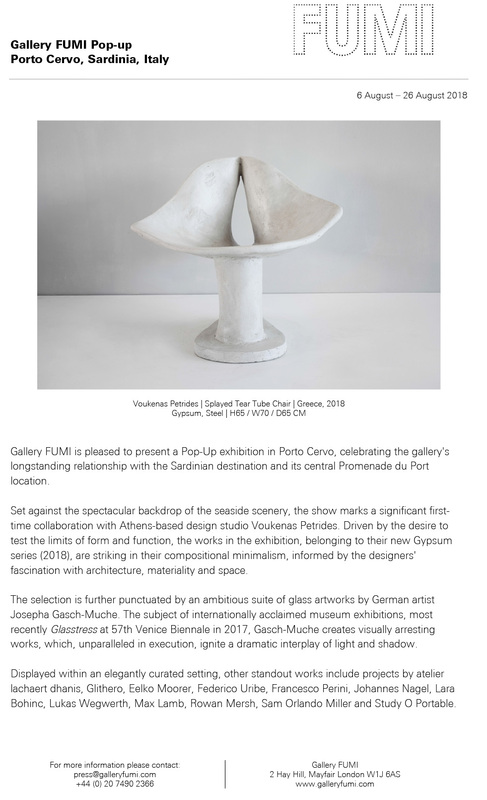 Their work will reflect viewers’ histories and experiences of footwear, including themes of Balance and Fragility. Supported by Arts Council England and Kurt Geiger. Eelko Moorer's practice is concerned with de-familiarising objects whilst challenging traditional notions of beauty. In Eelko’s work there is an underlying preoccupation with balance, often taken to extremes through his focus on the psychological and physical impact that designed objects can have upon the human form. Eelko’s response to Footnotes is Anxiety Island, which uses to orthopaedic shoes within the Balance section of the Footnotes exhibition as inspiration. Eelko has created a virtual reality environment which embeds the audience in the work, creating the feeling of imbalance when moving. He will draw upon his research into phobias and anxieties – agoraphobia, acrophobia and claustrophobia –to create an environment which will temporarily disrupt the user’s visual perception offering a novel proposal to combine existing VR treatment with gaming techniques to propose a more engaging way of treating phobias and anxieties. Anxiety Island is in collaboration with Peter Hill from London College of Fashion, UAL’s Digital Anthropology Lab, a group of researchers facilitating experimentation in digital technology.